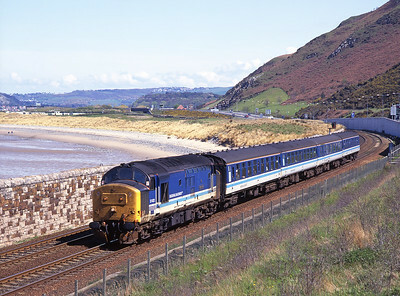 37405 approaches Abergele with the 12.23 Bangor-Crewe 4/5/96. 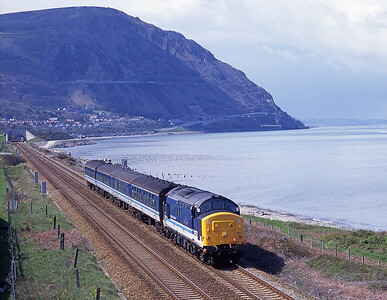 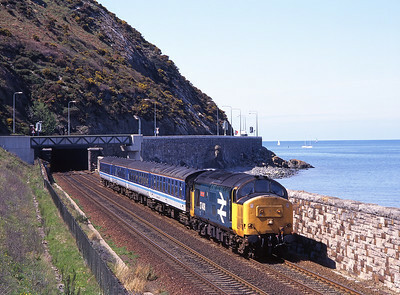 The 10.24 Crewe-Bangor approaches Penmaenmawr behind 37405 on 4/5/96. 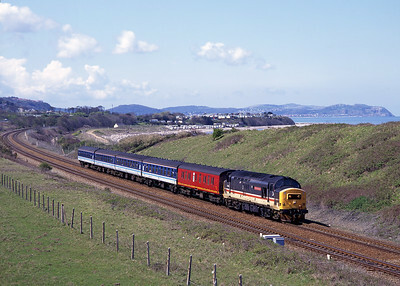 37408 passes Conwy Morfa with the 13.23 Bangor-Crewe 4/5/96. 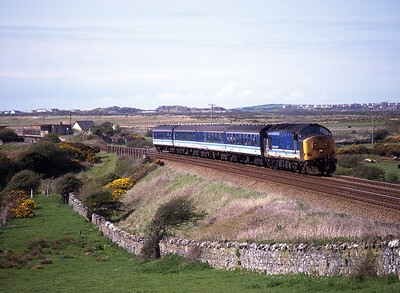 37413 passes Valley with the 15.24 Crewe-Holyhead 4/5/96. 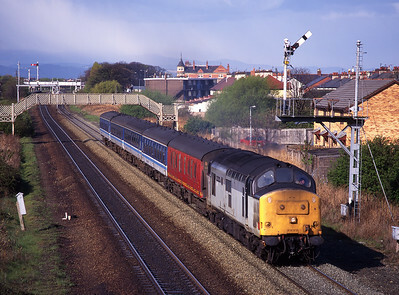 37417 departs Prestatyn with the 07.39 Holyhead-Crewe on 4/5/96. 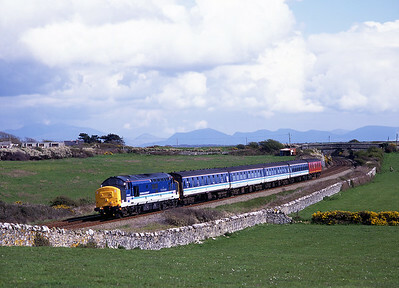 37420 hauls the 11.31 Bangor-Crewe near Penmaenmawr 4/5/96. 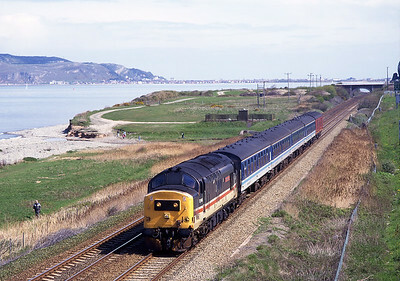 37422 passes Conwy Morfa with the 13.24 Crewe-Holyhead on 4/5/96. 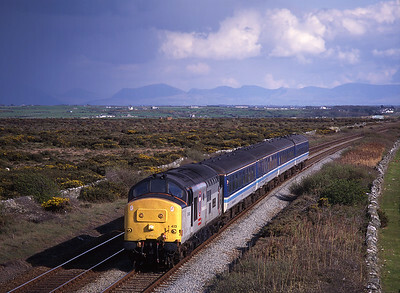 37422 passes Rhosneiger with the 15.53 Holyhead-Crewe on 4/5/96.